The Rhodopes, a vast chain of forested mountains, scenic towns and mystical villages, dominate Bulgaria’s south near the border with Greece. With its mix of pristine coniferous forests, high-quality ski resorts and unique local culture, this secluded region attracts Bulgarians and foreigners alike. From working online out of a geodesic dome igloo to trying out the Rhodopes’ unusual local cuisine, kashkaval tourist presents 6 things to do in the captivating Rhodope Mountains. Surrounded on all sides by endless hills covered by coniferous forests, the vast Pamporovo ski area is one of Bulgaria’s top winter resorts. Pamporovo’s location not far from Greece makes it one of Europe’s southernmost ski resorts, and as a result it boasts reliable snowfall as well as an unusually large number of sunny days in winter. 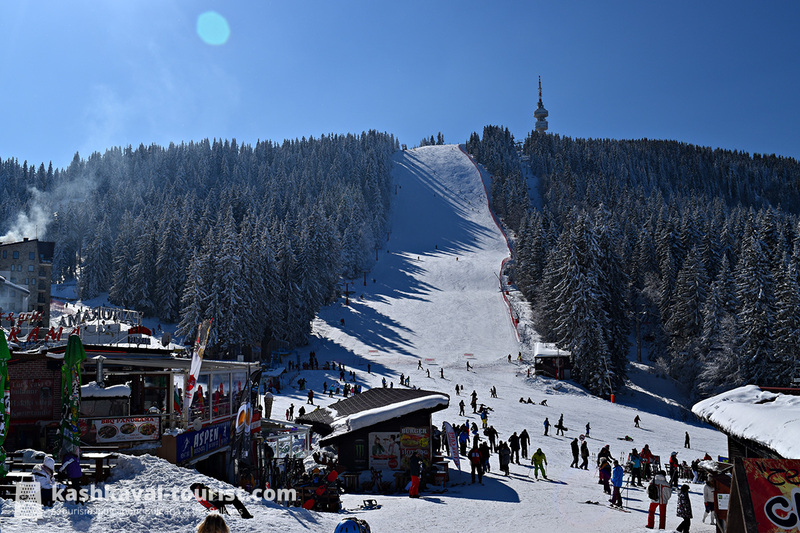 Almost all ski runs in Pamporovo descend from the unmistakeable Snezhanka TV Tower, which stands at an elevation of over 1900 metres. So as you can probably imagine, the tower’s panoramic café is the perfect place for a lunch with a view before another action-packed afternoon of skiing or snowboarding! 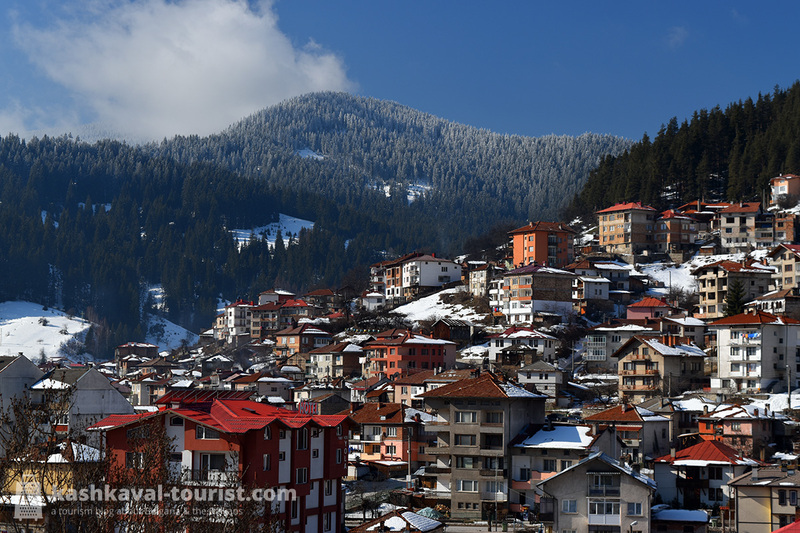 Chepelare is a charming mountain town just 15 minutes away from the ski runs at Pamporovo. And believe it or not, the local factory, which manufactures ski equipment for Atomic and Salomon, is the world’s largest ski producer! Chepelare’s scenic location and ties to business are probably why it hosts Bulgaria’s first Office in the Woods, a community for co-working and co-living. Office in the Woods is a great way to escape from your urban office environment to a space where you can work comfortably as well as enjoy the natural environment of the central Rhodopes. A stunning view from your office window is guaranteed, and the list of outdoor activities in all seasons is practically endless. You can also pick out different accommodation and office options, from camping to luxury and from a traditional office space to a wood-and-glass geodesic dome igloo! The cuisine of the Rhodopes is so special that even Bulgarians find it exotic and curious. Due to this mountainous region’s isolation and specific geography, its staple dishes are quite different from the Bulgarian classics. Rather than relying so much on fresh veggies like potatoes and cucumbers, the cuisine of the Rhodopes involves lots of local beans varieties, home-grown potatoes and kohlrabi, seasoned with local spices and herbs. 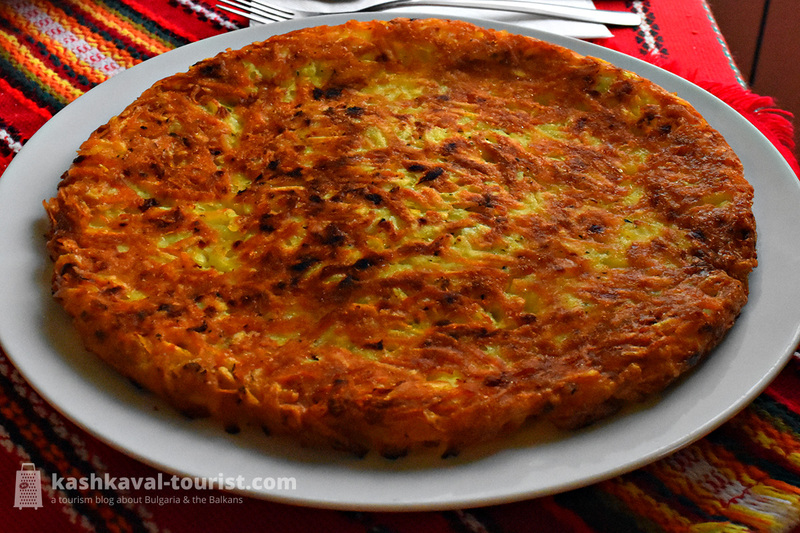 Typical local dishes include the huge and tasty Smilyan beans (смилянски боб, smilyanski bob), the grated potato-and-onions delicacy patatnik (пататник) and the banitsa with rice called rodopski klin (родопски клин). Practically every town and village in the Rhodopes is sure to offer excellently-cooked versions of these dishes, whether prepared by a chef at a traditional restaurant or a skilful Rhodope lady at a guest house. The Canyon of Waterfalls is an ambitious name for a hiking trail, but with 46 separate waterfalls to be seen along the route, it’s safe to say it’s well deserved! The trail follows the course of the Elenska River, gradually taking you up through the coniferous forests to the highlight of the route, the rumbling 70-metre-high Orpheus Waterfall. 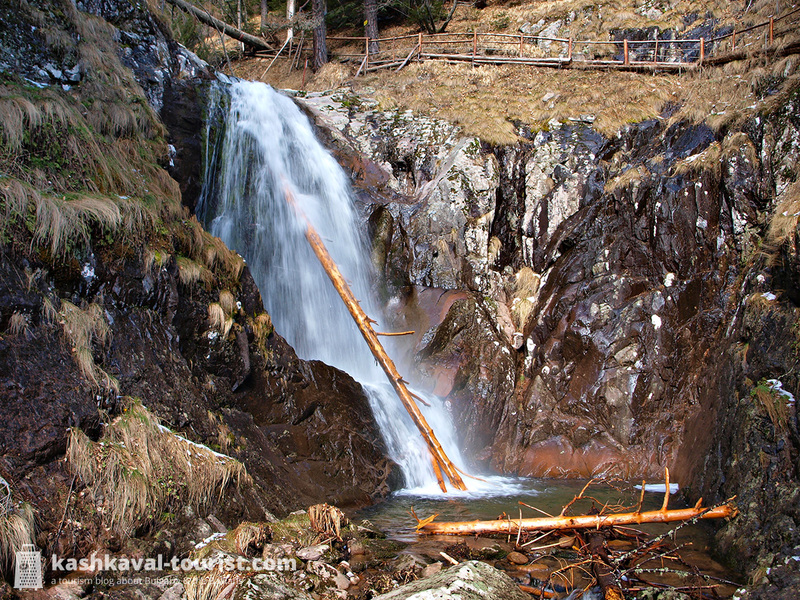 Conveniently, the the Canyon of Waterfalls is a loop trail that starts and ends just outside the capital of the Rhodopes, the picturesque town of Smolyan. And finishing the trail in half a day is completely doable, leaving you enough time to check out Smolyan’s authentic Rhodope stone houses! 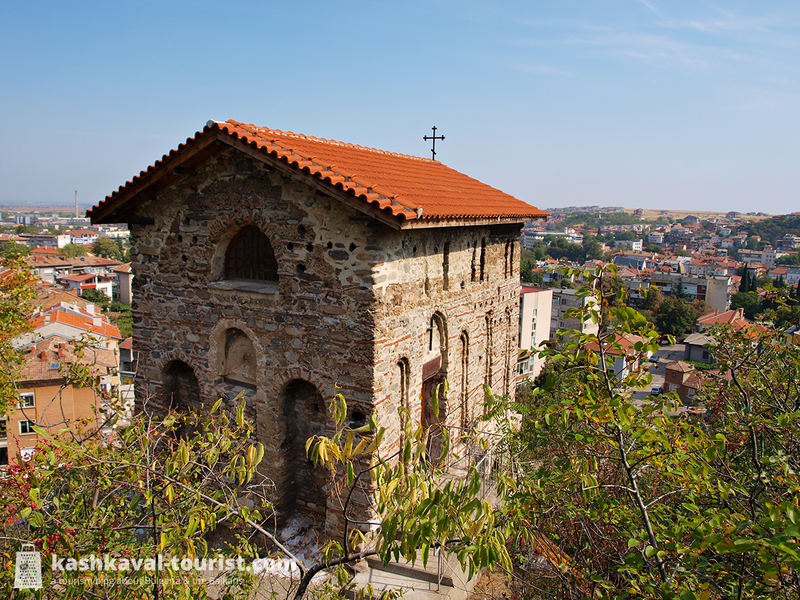 Situated at the foot of the Rhodopes just outside of Plovdiv, Asenovgrad is an ancient town that serves as a gateway to this mountainous region. For centuries, it had been a key fortress of the Bulgarian and Byzantine Empires as well as a cultural and religious centre of the Rhodope population. Unsurprisingly, all of this history has left behind some incredible archiectural heritage. The medieval Church of St John the Baptist, once a defensive outpost, overlooks the town from the rocks above. Another gem of the Middle Ages, the Asen’s Fortress, dominates an even higher hill with its unusual two-story church with a tower, while the nearby Arapovo and Gorni Voden monasteries impress with their fortress-like design. Marvel at the natural rock arches of the Wonderful Bridges. Photo credit: Mihal Orela, Flickr. 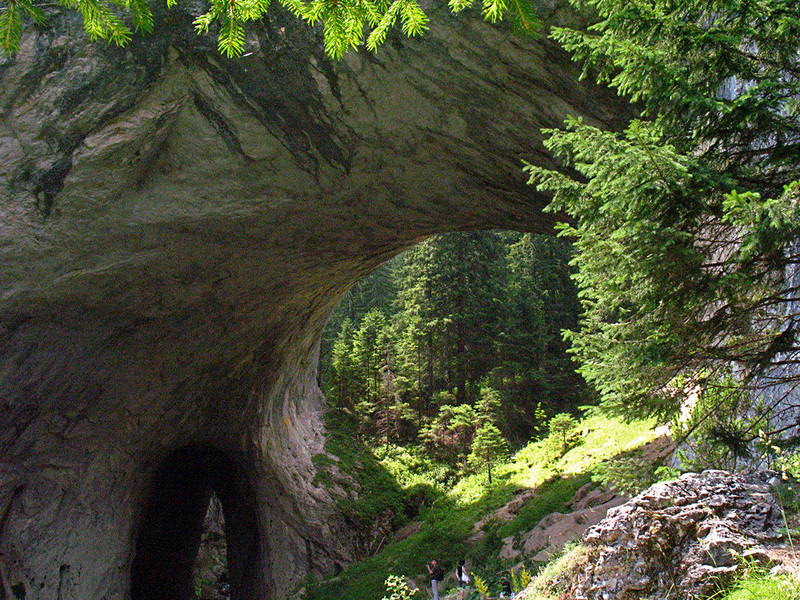 A set of two monumental rock arches carved by erosion in the karst valley of the Erkyupria River, the Wonderful Bridges are one of the Rhodopes’ most famous natural attractions. Walking through the first and larger of the two marble “bridges”, you will be treated to a view of the second and smaller arch, which is inaccessible to tourists. The Wonderful Bridges (Чудните мостове, Chudnite mostove) are conveniently located not far off the main road from Asenovgrad to Pamprovo and Smolyan. It takes about half an hour each way to get to the rock formation by car, so if you have the time, by all means discover one of the Rhodopes’ signature natural sites! Pamporovo is a perfect winter destination for anyone visiting or living in Plovdiv and the guys from Office in The Woods make it possible for any professional to combine effortlessly work and leisure. We often use their services and can highly recommend them!